Mark Stubbs on vocals.- This was at PLU Auditorium opening for Steve Miller Band about 1970. David Bandy was the manager. Doug J., Ron, Bill, Jim, Mark, Doug B.
I am the first wife of former Grizzly keyboardman Doug Johnston. Doug died about 5 years ago from liver disease and was fortunate to have played with bands such as Grizzly, City Zoo, Shaker, Double Image, Anthem (with Ron Gardner), and many other Seattle and Tacoma bands. 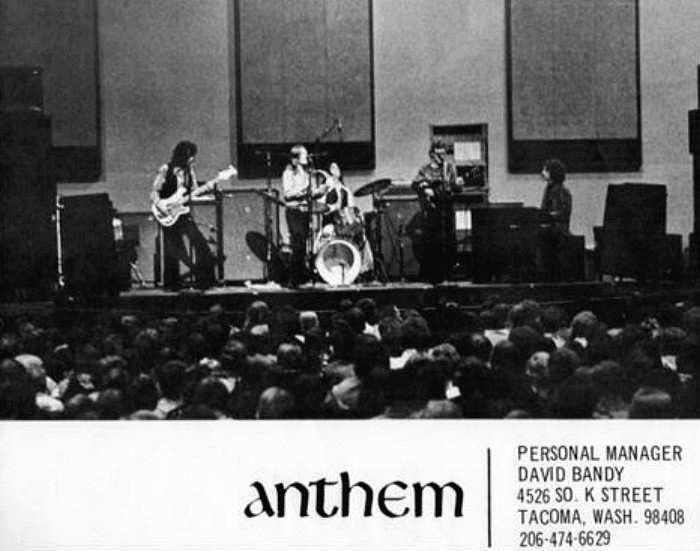 The original Anthem had Mark Stubbs as lead singer and opened for Steve Miller Band at PLU in 1970 or so. With Ron Gardner they played at Satsop Rock Festival, Farragut State Park, and multiple other clubs and festivals. Upon moving to Seattle Doug played with a fantastic band called Shaker, with Diann Powell on vocals. 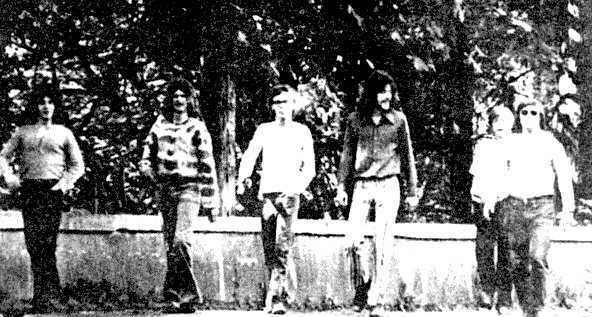 The band was compared to Cold Blood and played every big club in Seattle. They were booked by Far West Entertainment.